Nissan’s latest vehicle destined to join the pantheon of 148 different Nissans that have appeared in the Gran Turismo video game series over the years is the Concept 2020 Vision. Originally designed for the virtual world, the striking concept has now leapt into the real world as a star attraction at the 2014 Goodwood Festival of Speed currently taking place in the U.K.
Nissan was so pleased with the initial sketch work for the Concept 2020 Vision that it asked its advanced engineering team to help mold the final shape as well as create a life-sized model. The model is the only physical representation of the car in existence and it was created from scratch using the latest digital design tools. 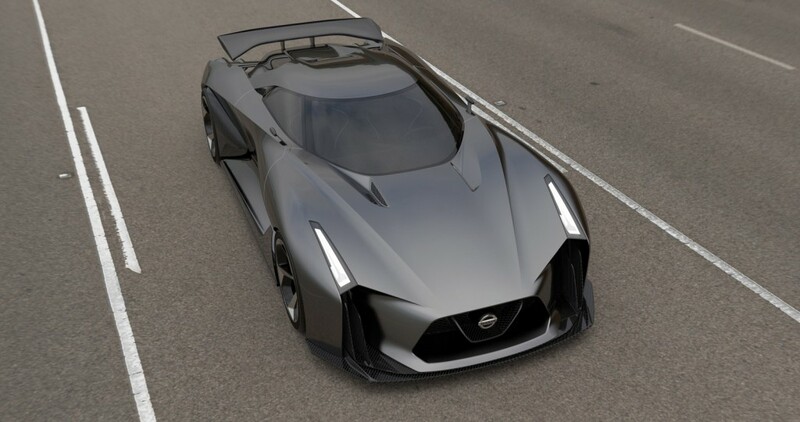 Nissan says the Concept 2020 Vision gives hints as to how a performance car of the future might look. Considering all the familiar design cues, that performance car of the future is likely to be the next-generation GT-R, the R36 model tipped to be introduced for the 2016 model year. And the concept is also said to be a key factor in Nissan’s GT Academy program, where gamers who aspire to become race car drivers are put through the paces and a few find the pro grid. One graduate is Jann Mardenborough, who after three 24 Hours of Le Mans races and a British GT Championship will soon be starting a driver development program for Formula One. He’s featured in the video above driving a virtual version of the Concept 2020 Vision up Goodwood’s famous hill climb. You’ll be able to drive it soon as well, as long as you have a copy of Gran Turismo 6. It will be available for download from next month.